Drilling range: 3/16" - 5/8". Optimum drilling range: 3/16" - 3/8". 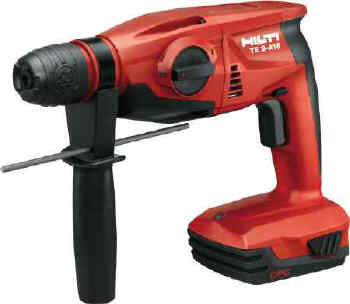 18 volt rotary hammer drill for drilling anchor holes in concrete and masonry. Weight according EPTA-Procedure 01/2003 6 lb.